What has your prayer life been like since starting this short series on prayer? Has stopping to thank God for his blessings helped? What have you been praying for — and have you seen any of those prayers answered already? Who determines the extent to which God works in and through our lives – us or God? Looking at Matthew 6, what does God want us to do on earth? With the above two Bible verses in mind — why might prayer be important? What would you like to see God do on this planet through your life? How vital might prayer be if that vision is to come about, and why? 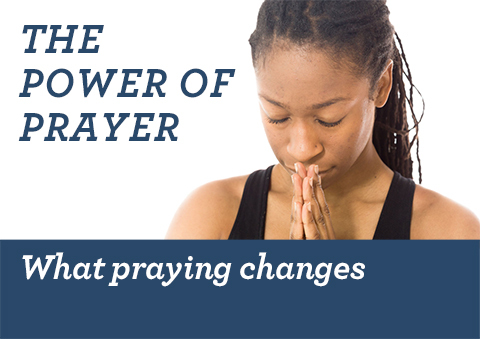 What could you do to continue to strengthen your prayer life in the coming months? Dear God, thank you for your willingness to work with us to bring positive changes on this planet. We recognise that we will be able to achieve very few of these changes without your help. Please help us to pray big prayers — while attempting big things. We ask that your power would be at work through us to make this world a better place.